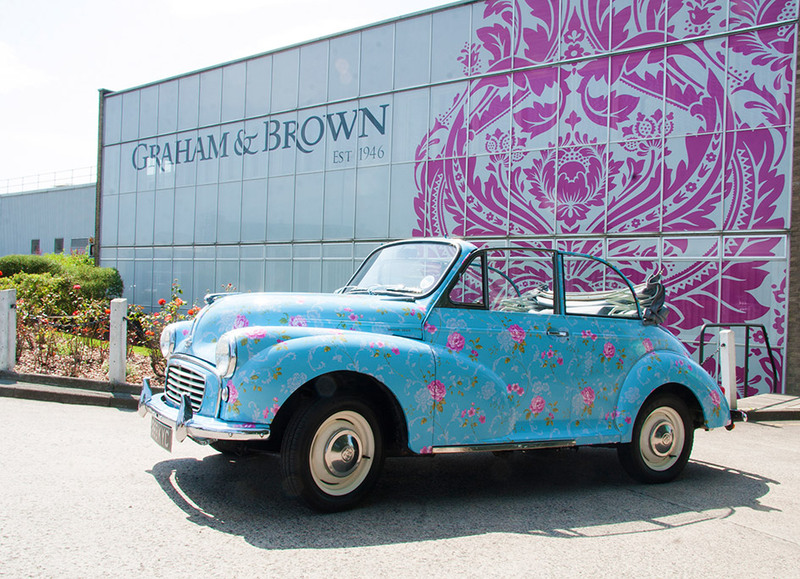 Luckily a local company not too far away from us here at Graham and Brown were on hand to help out. APS Signs in Longridge are experts when it comes to wrapping vehicles. 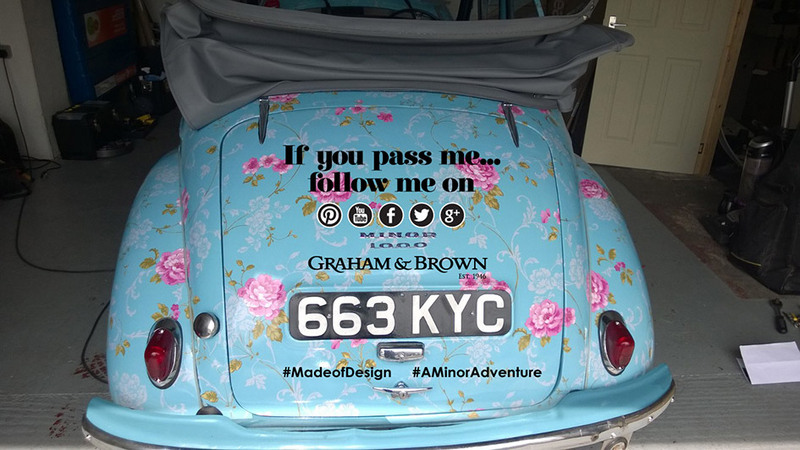 The first stage of the process is transferring the pattern onto a vinyl material which is heated onto the car. The vinyl is the cut to the exact shape and size of each of the vehicle panels. 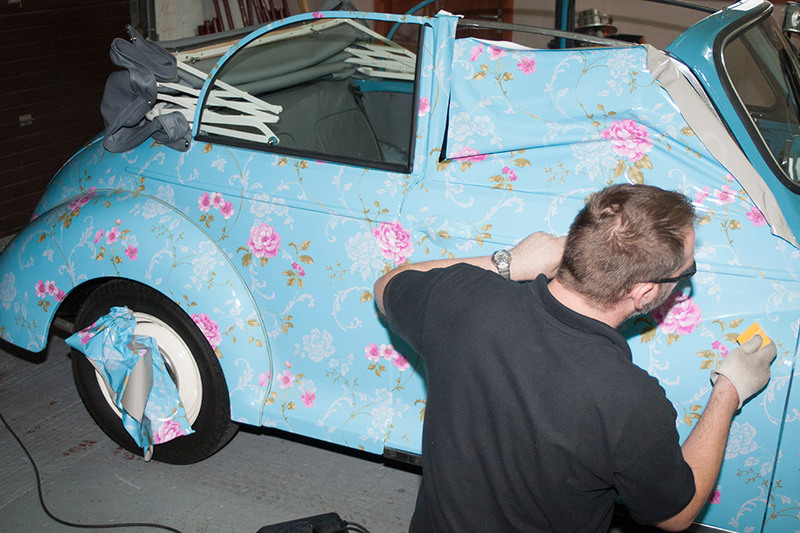 And before you know it you have a classic British car wrapped in a classic British wallpaper.